Previewed at January’s IMM Cologne fair, ‘Melt’ is a ghostly collection of cast glass furniture by award-winning Japanese design studio Nendo in collaboration with Venetian lighting brand WonderGlass. 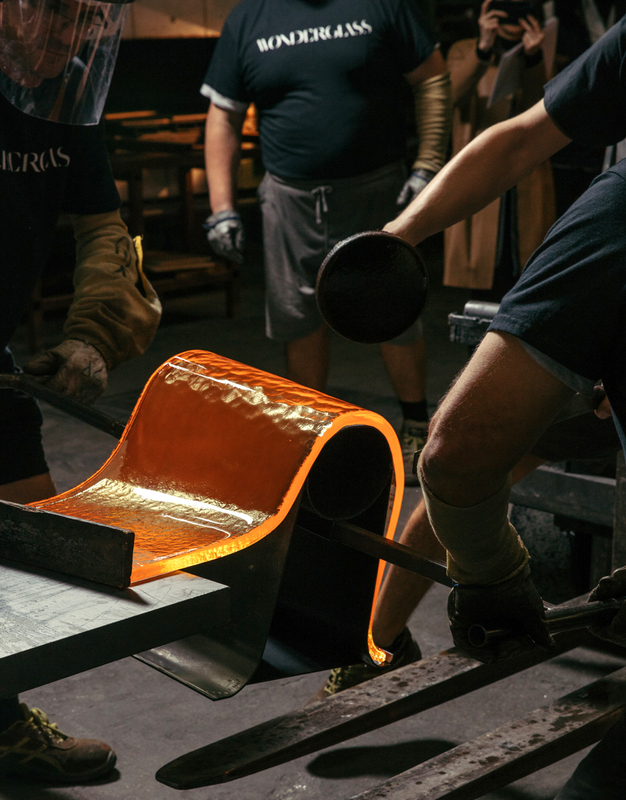 WonderGlass has previously produced elegant lighting ranges with design luminaries including Marcel Wanders, Jaime Hayon, John Pawson, Raw-Edges and the Bouroullec brothers, but this is the Murano-based firm’s first stab at furniture. Nendo designer Oki Sato was taken with the properties of flowing molten glass. Having seen how the craftspeople in the WonderGlass workshops approached this lava-like material, he decided to create a set of furniture that was dictated by the natural flow of the glass. The gravity-formed ‘Melt’ range uses a special technique of removing pliable material from glass molds to process it further by hand. Hot glass sheets were laid over steel pipes and suspended between steel bars to allow the glass to cascade into shape.